The Agency arranges wedding like function for the women who do not want to marry but like to get pampered like a bride. 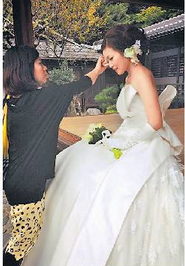 The company prepares the marriage like atmosphere for the bride in which the bride likes dressing and makeup. A rousing grand reception is the central ritual. The guests come and wish all happiness and congratulate for the heroine of the day. The women enjoy this one day’s holiday and rejoin their job the next day. The whole celebration is handled by professionals well qualified n the event management. To top it, the bride is taken for the shoot out in beautiful places, and suitable video and Cd are made. The deal starts from US $ 2800 onwards. 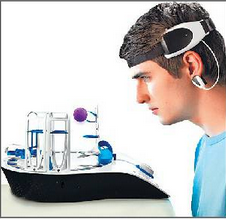 A Company named ‘Think’ has with the help of Neuro Science and Technology has invented a device that will control over the emotions. To operate this, the App can be operated by pressing a button for infusing a particular emotion or add another one. In a nutshell, the device will control emotions.That means now by pressing a button one can control the mood of a person. The company spent a considerable amount of 12.3 million and made available the equipment at a very nominal price. The CEO and the Co-Founder of the Company says that by using the machine, it will ensure that one can keep anything in the thoughts. The possibilities of leading a pro-active will increase. If someone wants to keep some particular thought constantly – it can achieve so. If one needs to take a decision, the device will help in such a case. Solo Wedding Craze Thought Control Device.